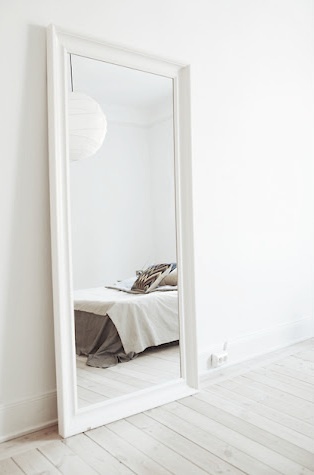 The last time I wrote about mirrors they were of the round variety for my Circles in the Home post. 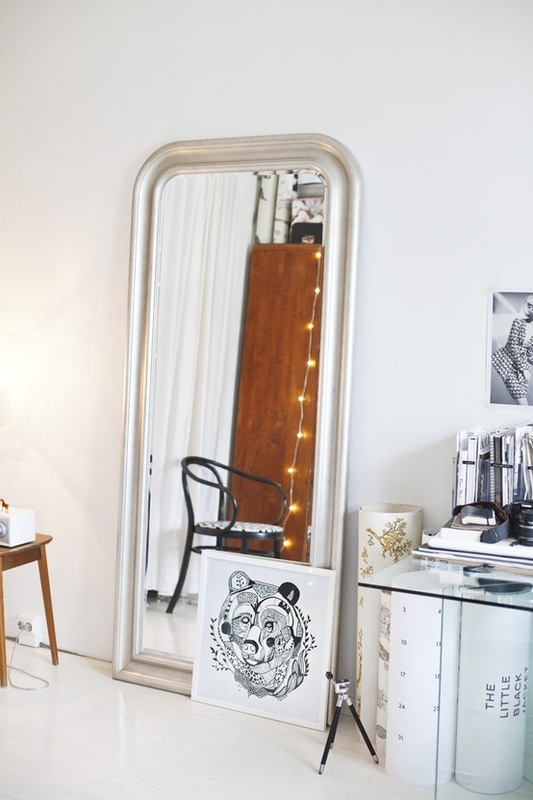 Lately I've noticed that oversized mirrors have been grabbing my attention, for all the right reasons. 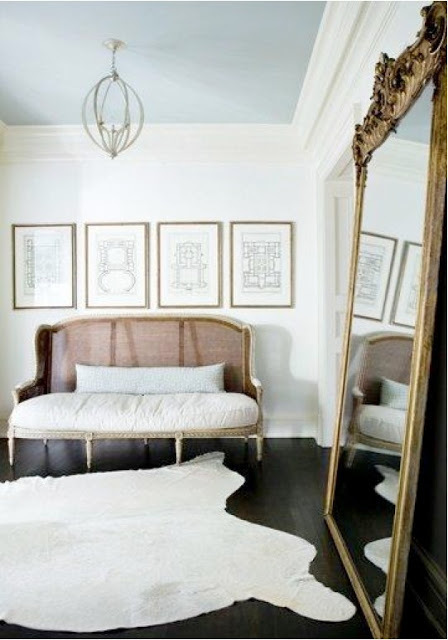 Perfect for adding scale, I love the drama and illusion of space that they create. If you have room for one, then I say go for it. 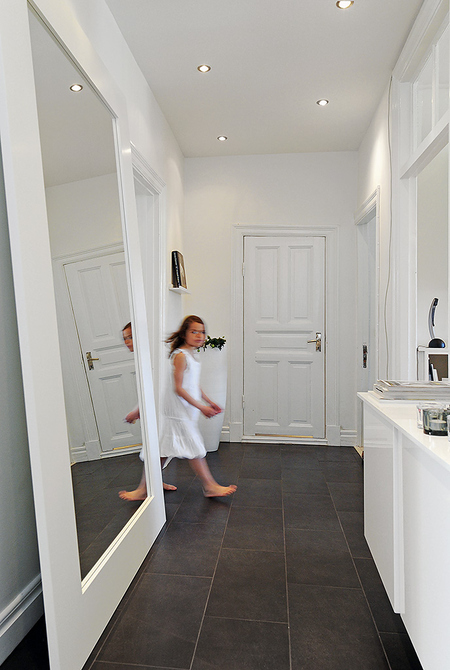 Living rooms, hallways or bedrooms provide the ideal place, and the bigger the better! 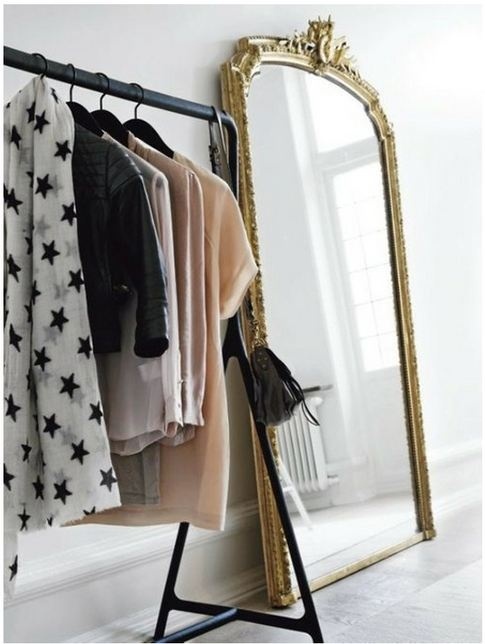 Leaned up against the wall in a casual style, that mirror will shine! 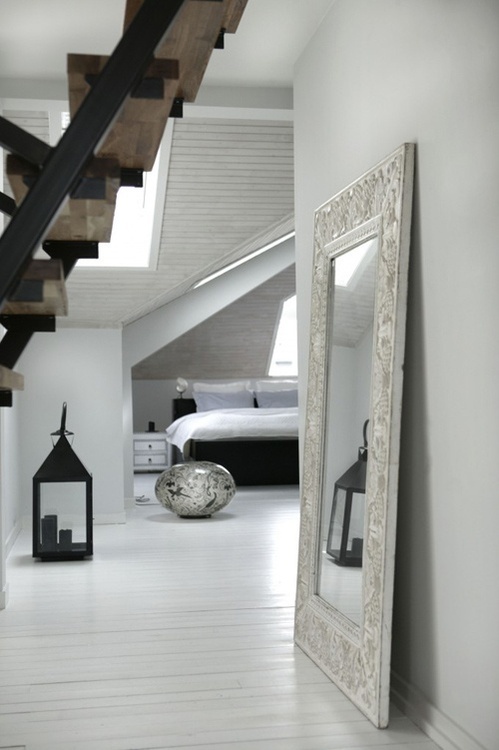 For classic Scandinavian styling, you can't go wrong with simple frames in black or white. 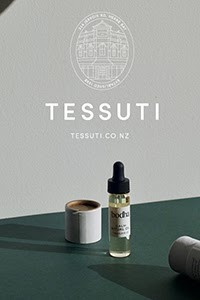 Pretty detailing like on the one above stands out against the white-washed background and minimalist surroundings. 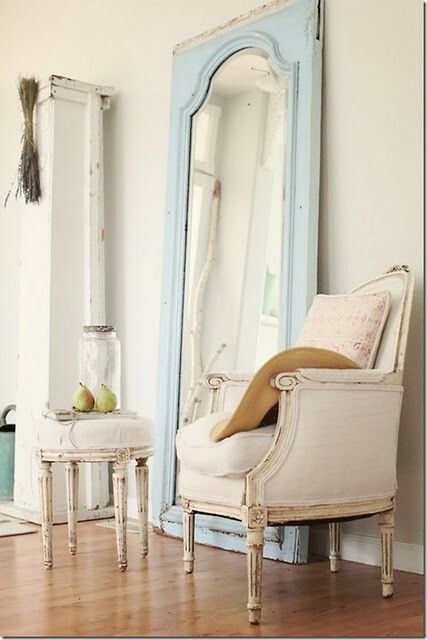 For a vintage look or shabby chic style, rustic gold, metallic silver or distressed frames are perfect. 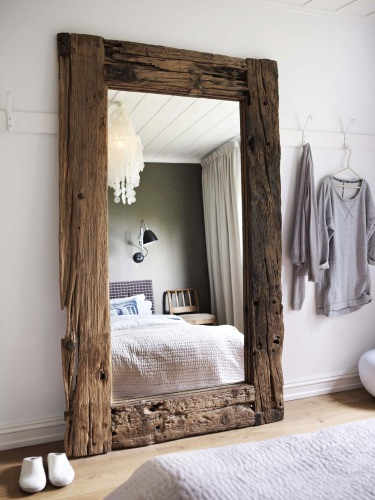 Natural wood frames are also lovely, and the one above is my favourite. 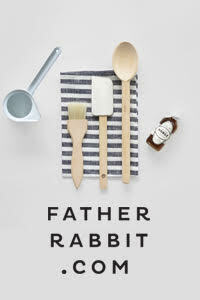 Photographed for the February 2013 issue of Elle Decoration UK, the London home belongs to Karine Kong who runs the online store and blog Bodie and Fou. I'm a big fan of Karine's gorgeous styling and this is why. 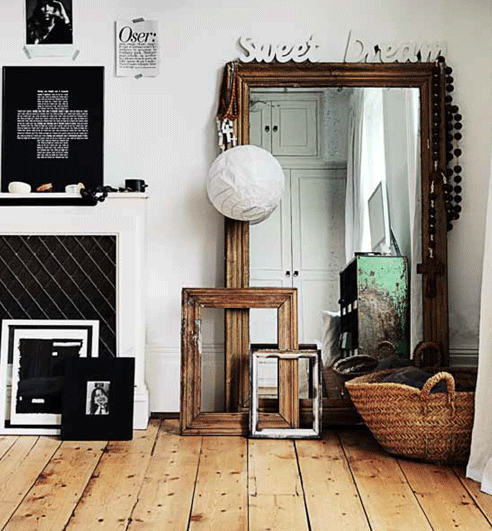 I love what she has done where with her oversized mirror, layering a couple of empty frames in front, adding the 'Sweet Dream' on top and hanging the chunky rosary beads and cross from the corner. 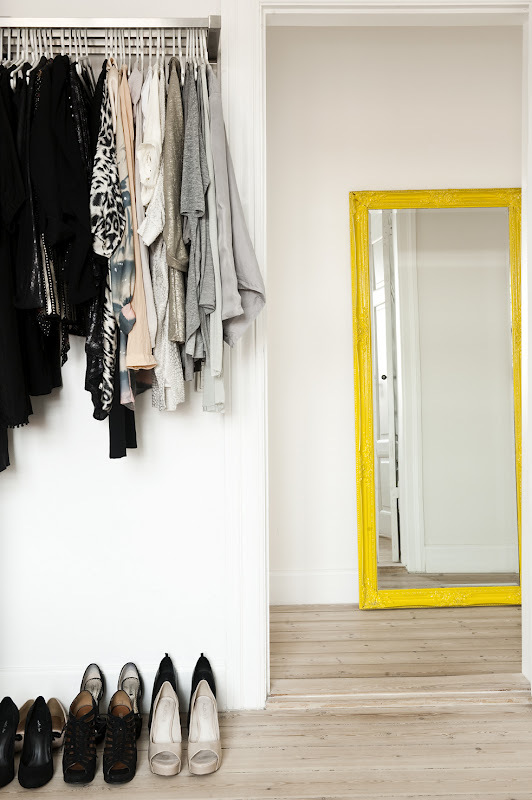 A great way to add a pop of bright colour to your interior, and an easy DIY project, paint the frame or the edge of the mirror. 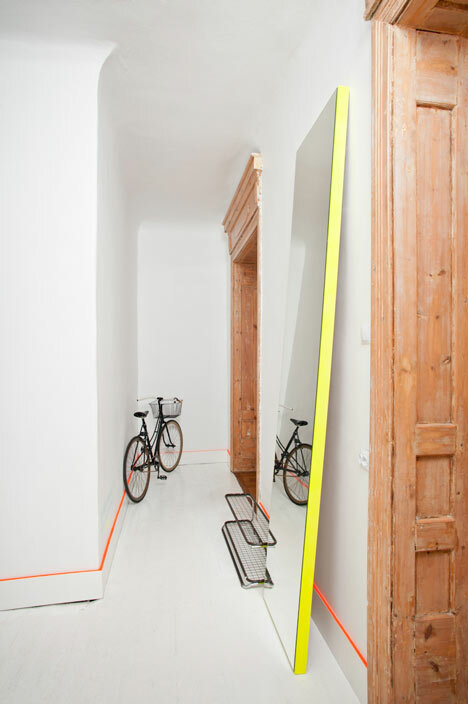 Notice how in the one above they've also painted the top of the skirting board in orange neon. What a cool idea! 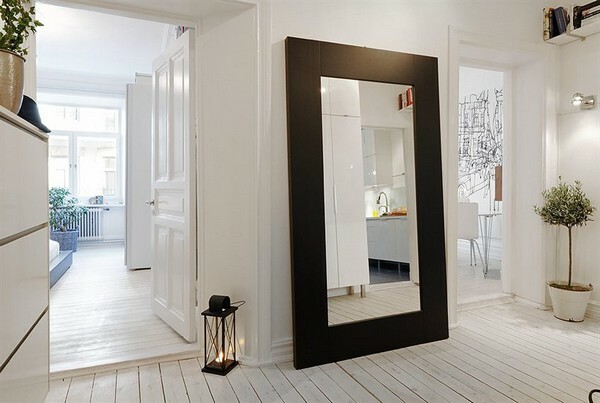 I think a big mirror is a great design statement love these images.